UPDATE: this said it was sold out, but it’s back again! 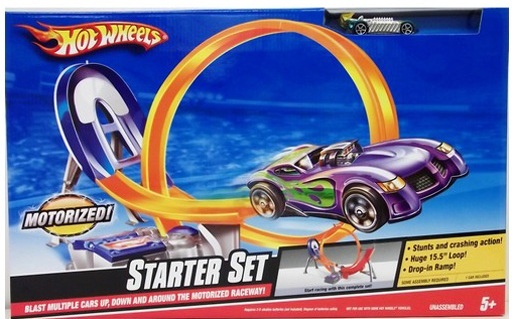 Hurry over to NoMoreRack and score this Hot Wheels Starter Set for $12! This is a cuckoo deal, since this is $42 on amazon.com ! It’s priced at $20 (retail value $49) BUT if you are new to NoMoreRack.com you will get a free $10 credit to your account! If you’ve already shopped there before, you’d have to sign up with a new email addy to get the $10 credit. Anyways, the $10 credit can be used on any purchase of $20 or more, PLUS shipping is just $2 flat rate! No More Rack is a daily deals site – I have a post each day in my daily deals section covering the hottest daily deal offers and today’s has 12 awesome nationwide daily deals!